This week's "Make It Monday Challenge" for Papertrey Ink is to use fun foam! Did you know this stuff cuts like butter with the PTI dies in your Cuttlebug? I happened to have some in my classroom, so I was ready for the challenge. 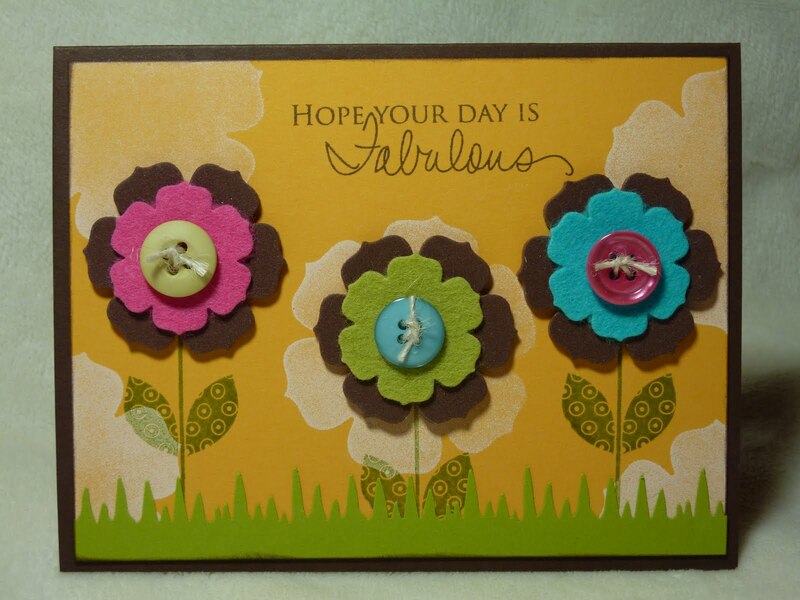 For my card, I used the Beautiful Blooms II #1 Die Collection. I first cut the largest bloom out of the fun foam and adhered it to an acrylic block. I was then able to use this as a stamp to make white "flower clouds" on my background. For my flowers, I cut the mid-size bloom out of the foam and layered it with the smallest size bloom cut out of felt. A button and twine on top of that finished it off. 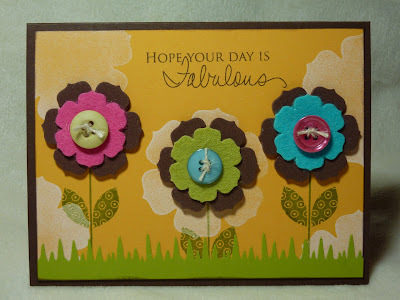 For the flower stems and leaves, I used the Flower Fusion #1 Stamp Set. The grass is made from my Martha Stewart Icicle Punch. 8 1/2" x 5 1/2" Dark Chocolate Cardstock, scored at 4 1/4"
This is so cute and fun! I love that you mixed foam and felt in your flowers - so much texture! Hi Katie, such a beautiful card. Please stop by my blog, I have an award for you. This is just incredible! I love the colors, the details and I LOVE the sentiment! I love when I can use mine too!